It all starts with your Mental Toughness and finding your way! Let motivational speaker and coach Jose Flores guide you on an 8 week journey of getting your mind right, goals in place and creating a strategy to tackle each day with a plan and purpose! 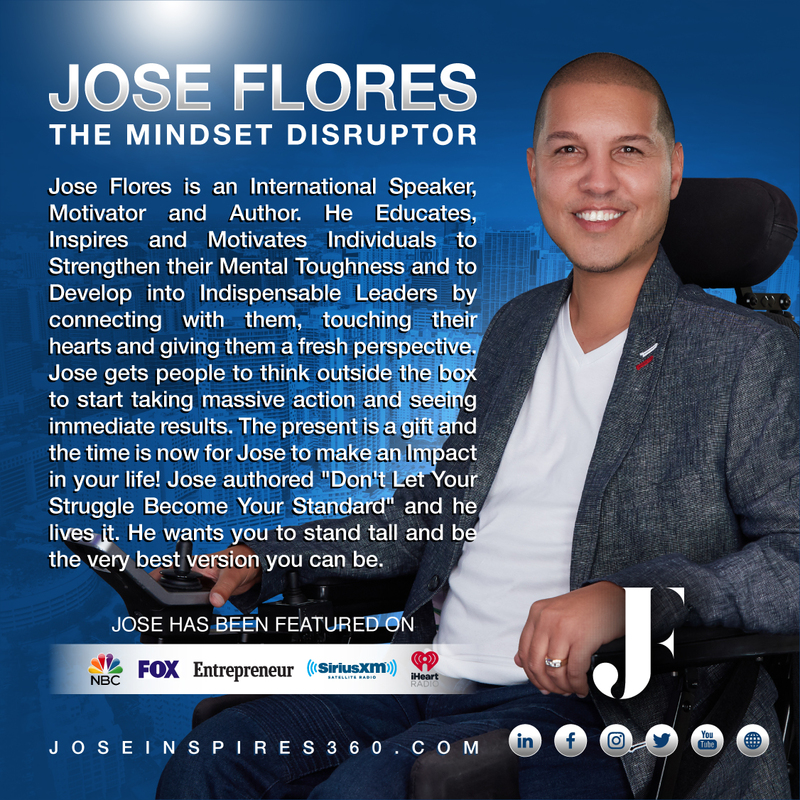 8 Weekly LIVE group mastermind calls where Jose guides you along your journey to mental toughness. Exclusive Facebook group for your 8-week journey which Jose will provide exclusive advice, information and Live bonus Q and A. Special guest speakers and industry experts will join us on the 8 week journey to share their stories of developing mental toughness.